Are you a compassionate listener who wants to add meaning to your life & the lives of others? Become a Hospice Northwest Volunteer and help make every moment matter. Hospice Northwest’s trained palliative care volunteers truly know how to help, providing an authentic human connection at a very difficult time in people’s lives. Our volunteers offer compassionate support to those living with a life-limiting or chronic illness in homes, hospitals, and long-term care facilities in Thunder Bay and district. Every individual is treated as a person, not as an illness, by volunteers who listen with their hearts and help make every moment matter. Not only do our volunteers make a significant difference in the lives of others, but their own lives are also deeply enriched through their work. As we have heard time and time again, volunteers receive so much more than they give. If you are a compassionate listener with a caring attitude and the desire to give back to your community, you have what it takes to volunteer with our team. We will Train and Support You! Hospice volunteer training application deadline is February 22nd, 2019. 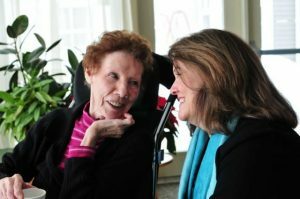 When you sign up as a Hospice Northwest Services volunteer, you will complete a provincially accredited training program that is delivered through a variety of formats including online training modules, group sessions and recorded training videos. These informative classes will help you understand the many issue people face at the end of life. After completing the training course, you will be matched with clients and you will become their companion during their journey through illness. Your location, interests and time requirements are carefully considered when matching you with a client. The emotional support you provide clients will help enhance their quality of life and help them live life to the fullest. Often, our volunteers form lasting friendships that provide them with personal growth and a very special sense of belonging. Access to the internet is beneficial. To be a part of our dedicated Hospice Volunteers, ensure to fill out the “Click to Volunteer” sign-up form.